Surgery can be scary, but our practice is dedicated to making it easy by giving you all the information you need. Our providers and staff listen to patients' concerns and answer any questions you may have..
Dr. Christopher Aldridge, MD FACS is a general surgeon in Alton, IL. 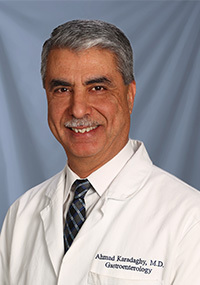 He has been in practice for 3 years and is certified by the American Board of Surgery. Dr. Aldridge specializes in minimally invasive surgeries, including laparoscopic colectomy, and hernia repair. He has also been trained to use the daVinci Surgical System. His patients appreciate his expertise and his bedside manner; one recent patient said "he took the time to answer my questions and concerns. Very kind!" 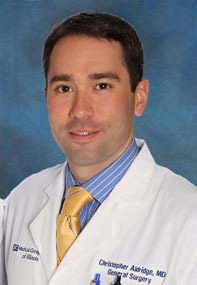 Dr. Aldridge is a member of BJC Medical Group, a well established multi-specialty physician group.